Jason-1 acquires few measurements along coastlines and catchment areas where rapidly changing terrain makes it especially difficult for the satellite’s altimeter to pick up the radar echo. Filling this gap in our knowledge is vital, “because a large portion of populations live in these areas,” explains Jacqueline Perbos, Jason-2 Project Leader at CNES. 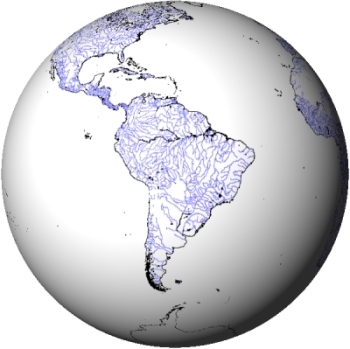 This is one of the tasks of the new satellite, which will provide more data on coasts and catchment areas, “imaging major water courses that are wide enough to be detected, like the Amazon River, for example.”Such data will be useful for coastal fisheries, oil rigs, land planning and many other applications. Jason-2 will achieve this advance through 2 instruments working in tandem: the DORIS precise-positioning system and the Poseidon-3 altimeter. DORIS tells Poseidon-3 what the satellite’s altitude is, while Poseidon-3 records terrain elevation. With this information, the position of the return signal can be calculated and the altimeter will no longer need to locate it. The signal will therefore be recorded continuously, even along coasts and over continental water bodies. Another added feature on Jason-2 is its 3 passenger scientific instruments, developed partly by CNES, which will be performing an altogether different mission. The satellite’s fuel tanks filled with hydrazine. 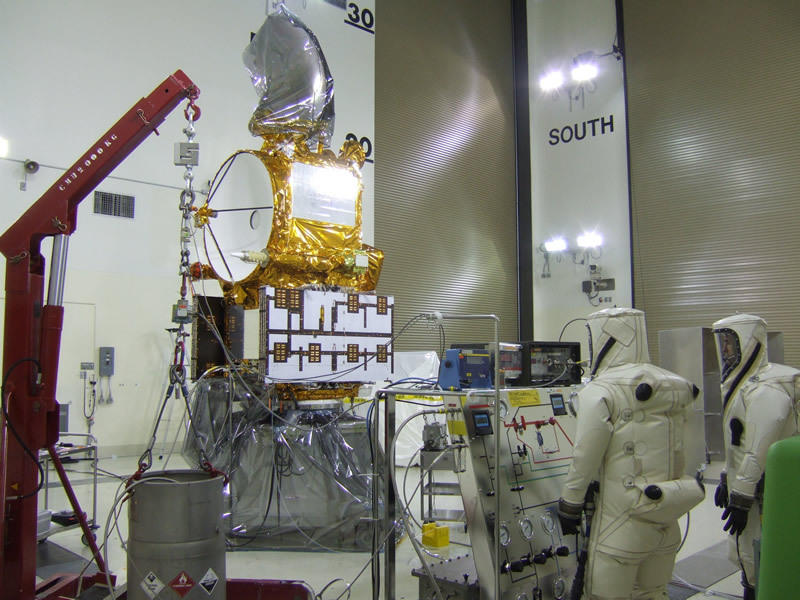 Carmen 2 and LPT* will measure electron, ion and proton flux in the satellite’s vicinity. “Jason-2’s orbit is not very crowded, but its electronic components will be exposed to harsh levels of radiation,” explains Jacqueline Perbos. The T2L2** instrument is designed with fundamental physics in mind. As a technology passenger on Jason-2, it will synchronize clocks using a laser signal time-tagged by a ground clock and another clock on the satellite. Preparations for the launch scheduled 15 June are going according to plan. 19 May, the satellite’s fuel tanks were filled with hydrazine and pressurized. The adaptor mating the satellite to the launcher and protecting it from vibrations during launch is set to be mounted on 27 May. The satellite is expected to roll out to the launch pad on 2 June.